It’s been a year since Sal Bagliavio and Executive Chef Forrest Pasternack worked together tirelessly to give Bailey’s Backyard a new vibe, a new focus on local food, and a new soul. When we went for a pre-opening dinner back in April 2013, we were excited to see what Chef Pasternack was up to since he left Morello Bistro in Greenwich, where we first met him. Our experience was amazing and we came back lots of times alone and with friends and family. We came with our buddies Renato and Alicia, Jay and Ali, and even Kristien’s parents…closing the place down each time. We even sent friends and colleagues, like Ashley and Rudy, Kristien’s hairdresser Ashley, Fran, Kelley & Mike, and many more… all who reported back with RAVE reviews. So, we couldn’t say no when we were invited back for a special writer’s dinner to introduce us to the spring drink and food menu, using local, in season ingredients. It’s always a strange moment. Invariably, people will ask us what our favorite restaurants are when we meet them or when they discover we have a food blog. Although we spend countless hours writing about some of the best places in Connecticut and trying new places, our minds always seem to draw a blank. But, then, we remember some of the best meals that we’ve had. And, one of those places that we always mention to people is a quaint little restaurant in Ridgefield called Bailey’s Backyard. We’ve been there three times already and plan to come back three hundred more times. 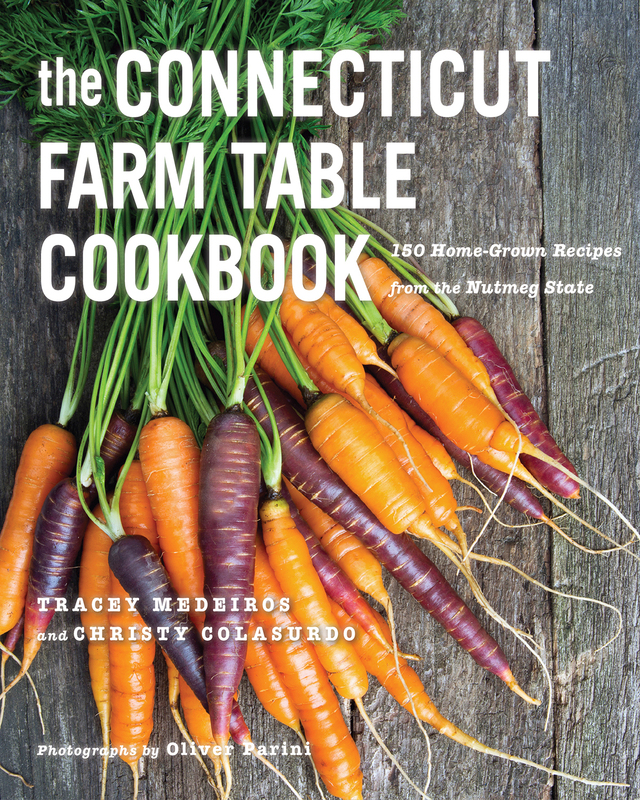 You might remember back in March we interviewed Executive Chef Forrest Pasternack (formerly of Morello Bistro in Greenwich) and we saw how deeply devoted he and Sal Bagliavio (the owner of Bailey’s) are to the farm-to-table principle. Yes, we know that word gets thrown around and is quite overused. But, at Bailey’s Backyard it’s a literal interpretation. Forrest and staff hit up the local markets and visit nearby farms to build their menu on a daily basis. The Nature Conservancy recognizes restaurants throughout the country that fit the ideal of “Green Restaurants” with the 2013 Nature’s Plate Awards. What does that mean exactly? It means that the chefs and owners focus on sustainable seafood, free-range and grass-fed meat, they use organic food, they thrive on local and seasonal food, and even serve up tap water instead of bottles of water. What it comes down to is that each Green Restaurant focuses on using sustainable food and making it awesome. Now, it’s your chance to help pick your favorite Green Restaurant! Just click here to go to the main landing page, then vote in the restaurant in your area that is your favorite by 10/15/13 by 5 pm PST. We’ve listed all the restaurants in the semi-finals from across the country that are up for voting, with Connecticut and New York highlighted first.